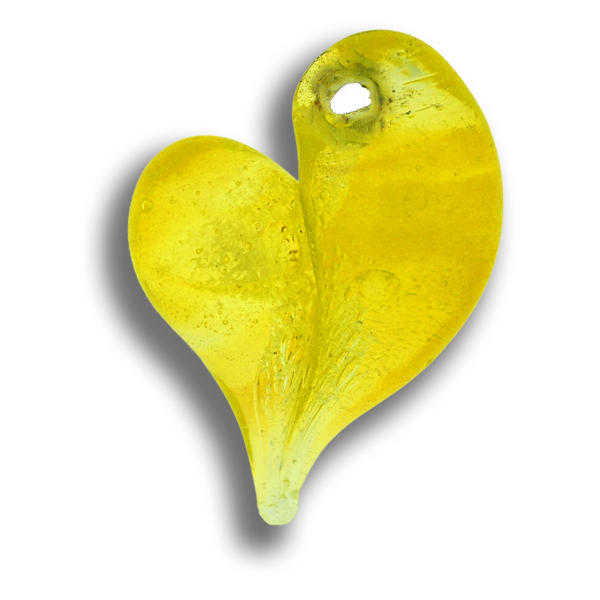 Description: This Cremation Keepsake Pendant is a classic Heart design pendant made from optical clear Pyrex glass with a vibrant transparent yellow, interwoven with your loved one’s ash/cremains. A soldered Sterling Silver Jump Ring will be added for security. I will sign the loved one’s first name or nick name, e.g. Dad, Mom, etc. on the back of the keepsake in 22k gold, so as to be Forever in Glass. (Due to the translucence of this glass, a photograph does not do this stunning keepsake justice).